Choose your daily surprise box! One week of daily surprise rewards! Get ready for a week full of daily summer surprises as Betsson has hidden a bunch of Free Spins inside their summer boxes, and it’s your job to open them and enjoy the extra rewards which are surprise amounts of Free Spins on a variety of games. Players are allowed one pick per day, which cannot be changed. Wagering then for at least €50 before midnight will reveal the Free Spin surprise of the day. Make sure to log-in to your account every day to get all Free Spin packages. Exclusive for players from Finland, Germany, Iceland, Netherlands, Norway, Poland, Sweden and Switzerland only. 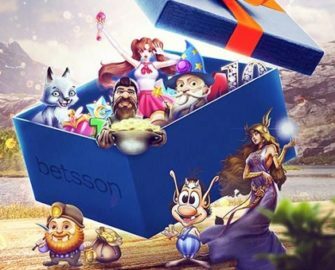 Enjoy a week of summer surprises at Betsson, all the way to Sunday, 13th August 2017. Just pick the box you want to open, once per day, with the “Surprise Me” button below it. You can’t change your box after that. 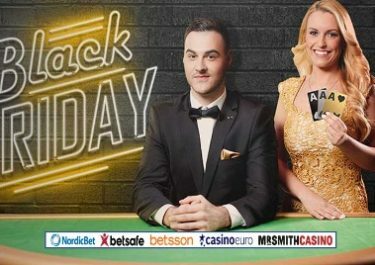 To qualify for the Free Spins packages players need to OPT-IN on the promotion page by choosing one of two boxes and then to wager minimum €50 any games in the casino or Live Casino. Once the wagering is completed they will receive a message via their Betsson inbox and the reward will be instantly credited. Only one selection per player per day. Free Spins are instantly credited once the wagering requirements are met and need to be played before 23:59 on the day they were credited. Wagering requirement is 35x FS winnings within five days, subject to the Betsson bonus terms and conditions, read them carefully.